Flavour's baby mama, Sandra Okagbue has tattooed 'Chinedu' on her arm. Flavour's real name is Chinedu Okoli. Has Flavour found his wife? 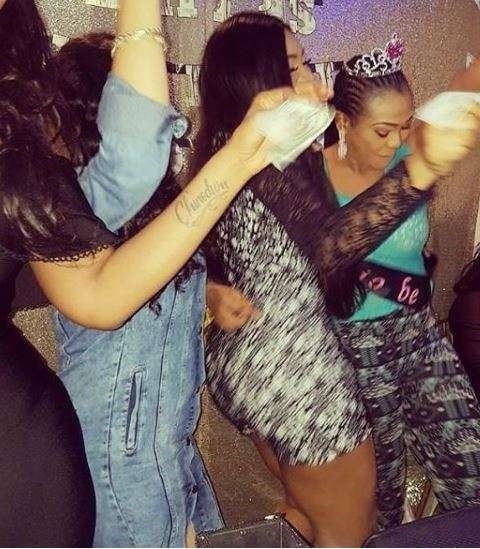 Flavour's relationship with Sandra Okagbue appears to have moved a step further as she was spotted at a friend's bridal shower with "Chinedu" tattooed on her arm. Flavour’s real name is Chinedu Okoli, so this new development could mean that separation rumors might have just flown out the window. Flavour has two children from two Nigerian beauty queens. He welcomed a child with beauty queen, Sandra Okagbue in October 2014 and another in 2015 with former MBGN queen, Anna Ebiere Banner.